Heavy Aircraft Friday at Atlanta Hartsfield Jackson International Airport KATL/ATLIt feels good to write those words in the description of this video… I really enjoy the concept but my schedule has not allowed me to commit to continuously uploading a video of this genre every Friday for quite some time now like I used to several years ago.. I decided I would change that at least for this week with this surprise Friday video. I went planespotting with my good friend Matt Cochran over this past weekend for our third annual video together at Atlanta Hartsfield Jackson Maynard Reid Keisha Lance Bottoms International Airport of Atlanta KATL/ATL and got a lot of footage. So much, in fact, that it might be a little while until I can upload the full-length feature and so I felt an appetizer for the main course was in order. action which we all so enjoy. This is filmed with a Sony AX-53 camera (brand new to me and I’m still getting used to it overall) from the 7th floor of the famous Renaissance Concourse Atlanta Airport Hotel on the north side of the airport. The runways in use you see are 8L-26R, 8R-26L (closest) and the 9-27s farther away. Thanks for watching and HAPPY FRIDAY!! Korean Air Boeing 747-8i, Qatar Airways Airbus A350-900, Delta Air Lines, Boeing 777-200LR, Airbus A330-200, A330-300, Boeing 767 300ER, Virgn Atlantic Airbus A330-300, A330-200, Air France Boeing 777-300ER, FedEx McDonnell Douglas MD-10 and Boeing 767-300F, etc. 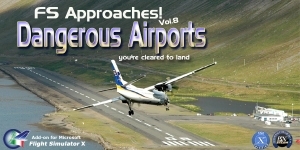 This video is the property of O’HareAviation Plane Spotting & Flight Tracking. It may not be used in any way without permission. This entry was posted on October 14, 2018 at 13:23, and is filed under Real Aviation Video. Follow any responses to this post through RSS 2.0.You can leave a response or trackback from your own site.